Keep on happy painting all over these tiny spaces called colour temples! I'm happy to see you receive some resin (I was afraid it'll be lost againt). The pirate (and his boat) are really awesome !!! Cool stuff! The weathering of the boat is awesome! 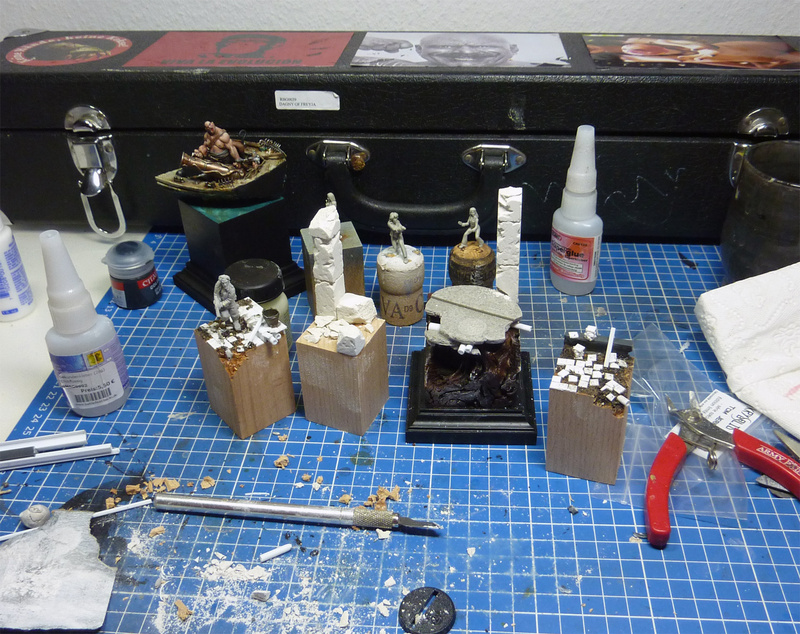 Please where did you find the blocks you used to build the columns on your WIP bases? Many thanks for the Resin :) - i did find time to write an email yet but i guess it is better if i paint Resin, there is much more to tell that way - many thanks so far!